You may never have walked the red carpet or been hounded by paparazzi, but a few lucky women now carry a handbag that has. The We Promise Foundation gave women everywhere the opportunity to accessorize like a celebrity through its 3rd annual celebrity handbag auction. 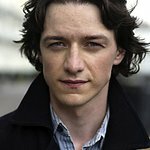 Beginning on June 17, 2012, the premiere auction took place in partnership with eBay’s charity auction site, allowing women to purchase a glamorous bag straight from a celebrities’ closet. Featuring a dazzling collection of one-of-a-kind items, the auction raised $7,068 by selling 43 luxury label accessories and bags. Proceeds went to the true stars, children who battle illnesses every day, to put a sparkling smile on their faces. Featuring pale pink and white crystal beading and accentuated by an ornate floral design, actress Melanie Griffith sold her stunning snakeskin Valentino valued at more than $1,200. LA Lakers Executive Vice President Jeanie Buss generously gave her Fendi Chef Zucca Shopper handbag from her personal collection. The bag came in mint condition with an original dustcover and was valued at $1,000. 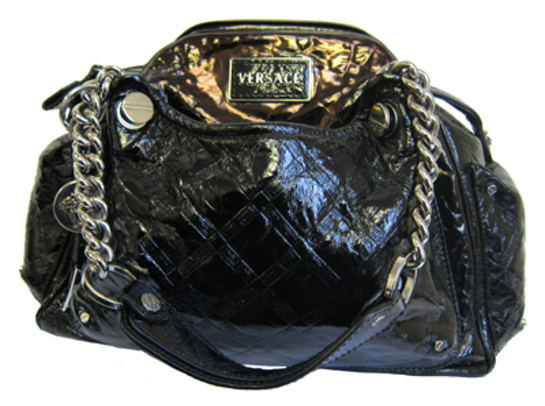 Jeanie also donated her gorgeous black patent leather Versace handbag. Decorated with stunning silver hardware and a unique Greco pattern, this couture bag was valued at $950, and provided the lucky new owner with a perfect accessory for hot summer nights on the town. 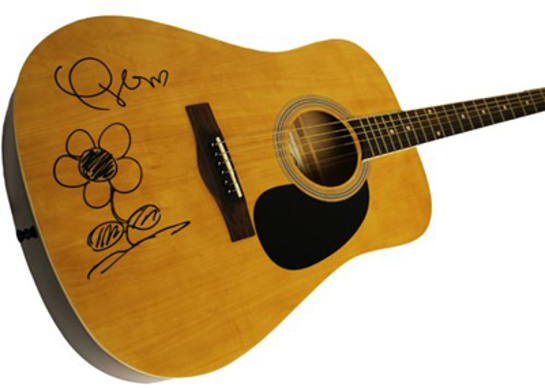 Country music fans were thrilled to have the chance to bid on an autographed Rogue model RD80 guitar from Grammy Award winning singer and songwriter Taylor Swift, which sold for more than $730. Leading lady in the hit TV show Glee, Lea Michele generously donated an autographed handbag that she wore in an episode of the hit TV show. The H&M handbag sold for $731. Lea’s co-star Mark Salling also donated his autographed book bag, which sold for $365. 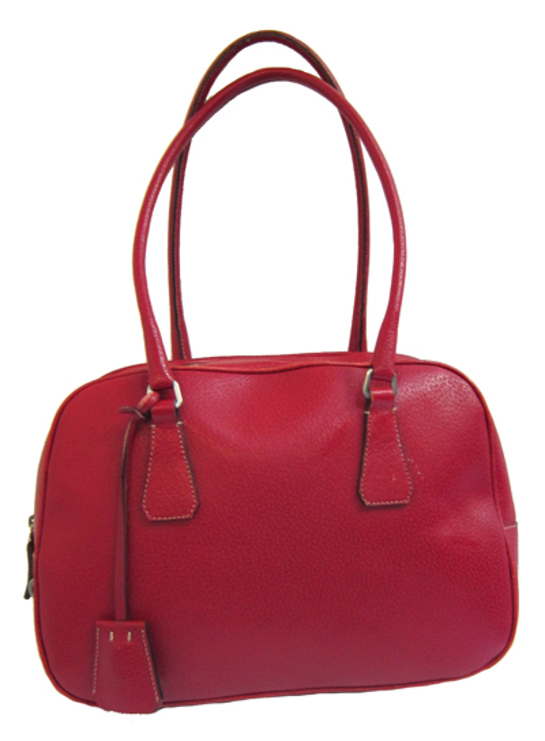 Hollywood A-lister Sienna Miller donated her J.J. Winter’s Red Fringe Messenger Bag made from top-of-the- line suede. A popular bag amongst celebrities, actresses Megan Fox and Miley Cyrus have been photographed carrying the same bag. Well-renowned athlete and gymnast Nadia Comaneci donated and autographed her pair of Brian Atwood platform pumps valued at $755. 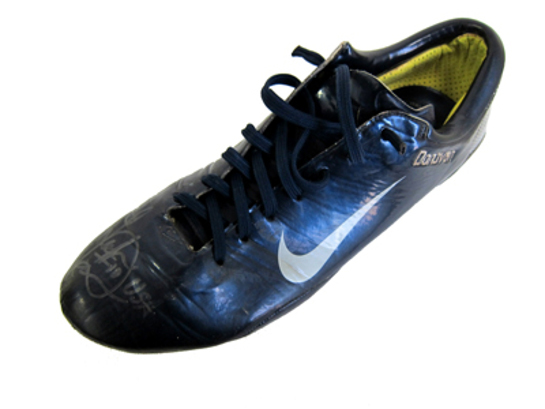 Soccer star Landon Donavan sent autographed, custom-made, game-worn cleat coupled with a 2011 team autographed Los Angeles Galaxy soccer ball. Landon’s cleats are made specifically for him by Nike and feature his last name in silver stitching on the front ankle. Modern Family’s sitcom star Julie Bowen donated her red-pebbled leather Prada handbag from her personal collection, which was valued at $500. Hit television actress Lauren Graham of Parenthood generously donated her One October black suede handbag, which was worn on the show. Her black suede handbag sold for more than $400. This year’s Red Carpet Celebrity Handbag Auction featured more bags than ever before, enabling the We Promise Foundation to raise $7,068 to make dreams come true for children battling life-threatening illnesses.